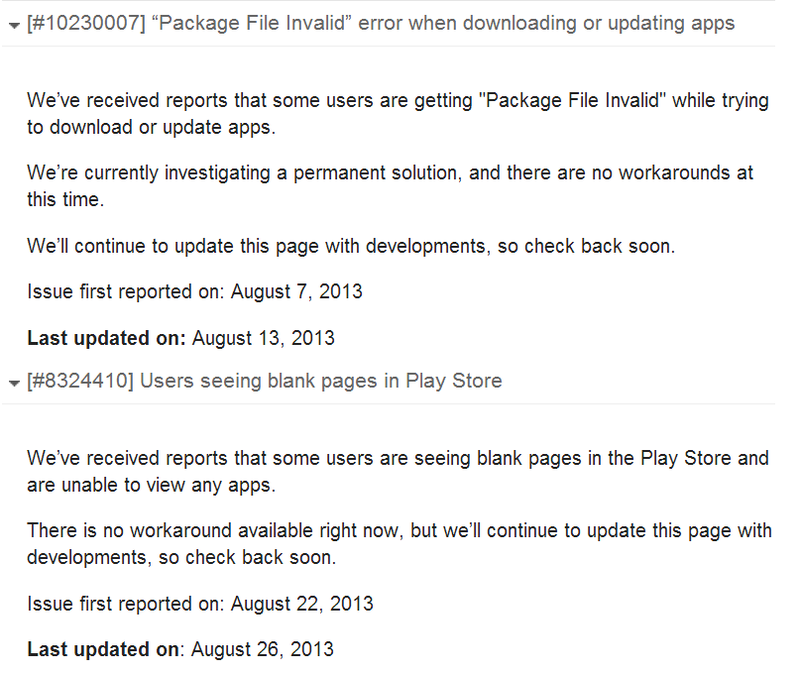 A couple of weeks ago, Play Store users started receiving frustrating errors when downloading or updating apps. 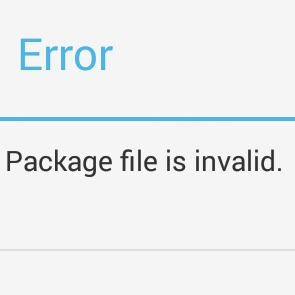 The bug flashed a dialog reading "Package file is invalid" after refusing to download an app. It seemed to affect people and apps randomly. Google marked the issue as "resolved" on the Play support page on August 13th, but it has been moved back into the Known Issues list. A casual search on the social networks reveals that more than a few users are still experiencing the issue, though it doesn't seem to be as widespread as before. Google hasn't added any information to the Support page aside from moving the issue out of the Resolved column, so presumably they're still working on it. Some users are also reporting blank pages in the Play Store app, among other odd glitches. That particular entry (#8324410) was added yesterday without a fix. Here's hoping the ladies and gentlemen of Mountain View can get things ticking again soon. If you're having download issues, try the standard device reboot. If that doesn't resolve them, clear the data from your Play Store app in the main Android settings menu. These aren't ideal solutions, but they've worked for me in a little anecdotal testing.